with incredible online and in-person experiences. Let us help establish your practice as the best dental home in your community. Your website is the primary source of information about your practice. Our beautiful templates are designed to grow with you. We offer everything from ready-to-go websites that require little configuration to completely custom options built from-scratch to your needs. Your brand is more than just a logo. The Clue Signature Branding program is a comprehensive strategy to increase your recognition as a local leader in dentistry. This program includes a variety of consistent print and online marketing materials and an aggressive schedule of marketing campaigns. Clue Patient Education comprises both print and digital information that helps your patients understand their treatment options and increases treatment acceptance in a consistent, professional way. Choose from dental brochures, treatment presentation aids, a web-based video library and many more. 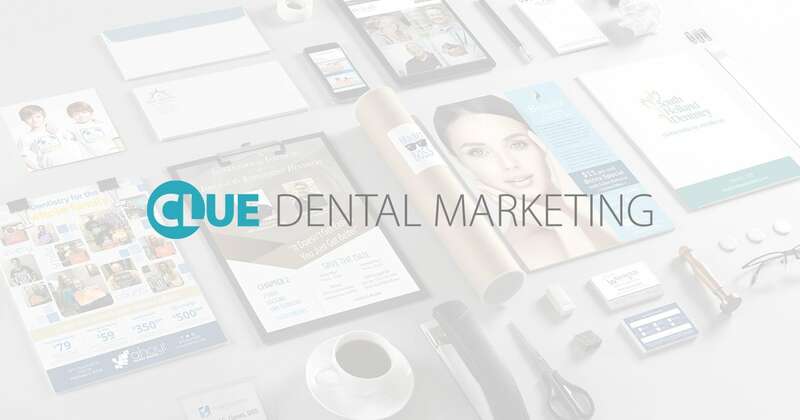 See how our clients found success with the help of Clue Dental Marketing in our Featured Clients page.